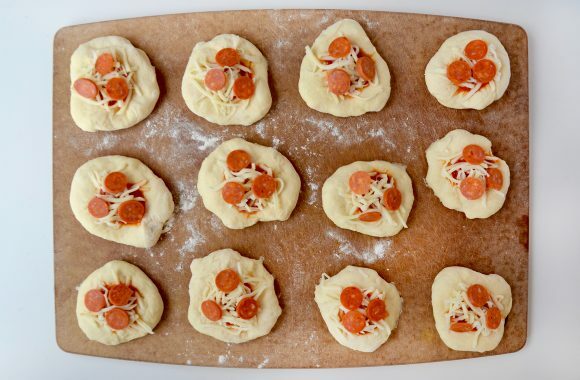 Skip the slice and preheat your oven for a perfectly poppable recipe for Muffin Tin Pizza Pockets. Step aside, slice! 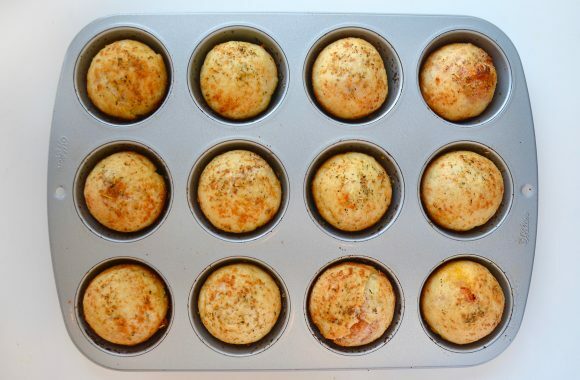 There’s a new easy, cheesy pizzafied recipe in town and it all comes together in a muffin tin. Because what’s not to love about a handheld pizza pocket loaded with your favorite toppings-turned-fillings? I’ve kept this batch simple and straightforward with sauce, cheese and mini pepperoni, but if you can put it on your pizza then you can put it in your pizza pockets. Enter, garlic butter! 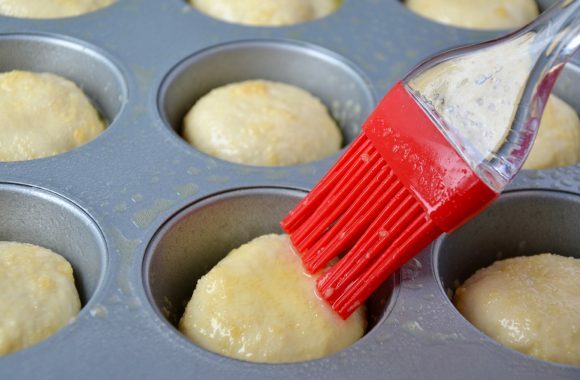 A quick slather adds a punch of flavor to the top of each pizza pocket, alerting your taste buds to all that lies inside. 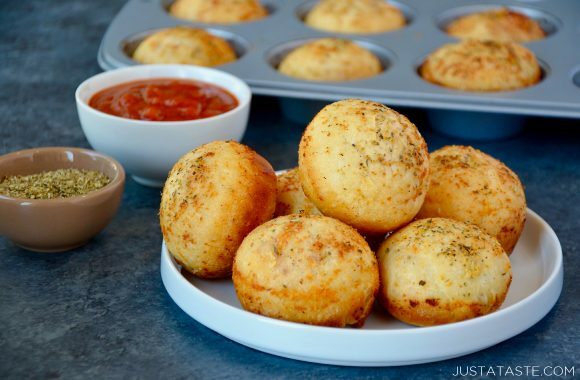 So skip the slice and get ready to dip and dunk with Muffin Tin Pizza Pockets! Add 1/2 teaspoon marinara sauce to the center of each piece of dough (reserve the remaining marinara sauce for dipping). 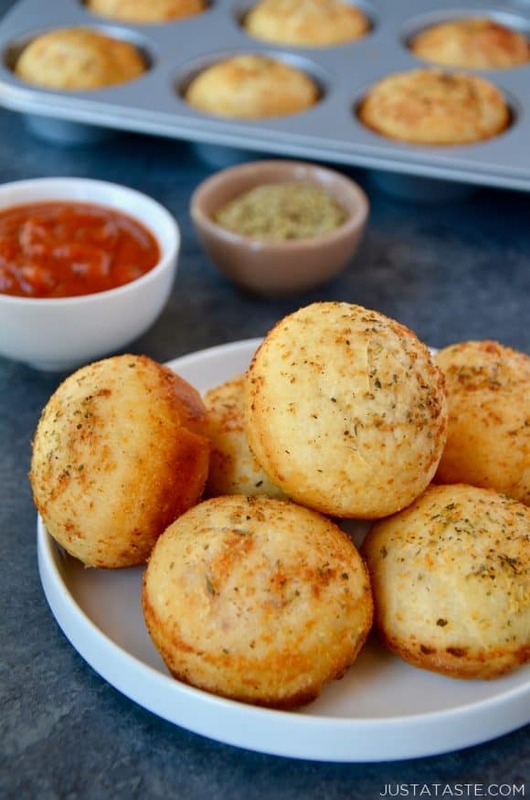 Divide the mozzarella cheese among the pizza pockets then add three mini pepperoni to each pizza pocket.